This morning I looked out of my hotel room window and could see the sea. 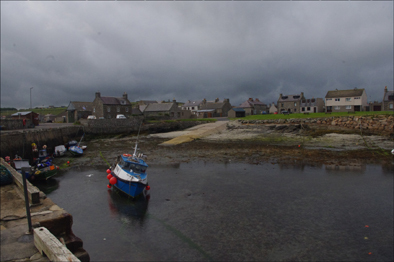 The sky was cloudy, but it was otherwise warm and there was no sign of rain so I decided to break my journey along the Castle Trail and explore the village of Rosehearty where I was staying. 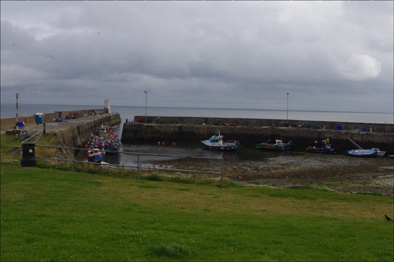 Rosehearty is on the Moray Firth and is four miles west of the town of Fraserburgh in Aberdeenshire. It boasts a small harbour and is untouched by tourism. It was low tide at 9 am this morning when I reconnoitred the sea shore and in the tiny harbour most of the boats were resting on mud. 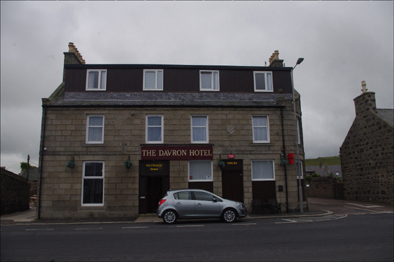 I passed a house where there were wetsuits hanging from a washing line indicating that this area was popular with divers. 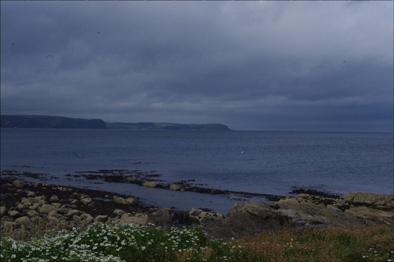 I came to a grassy picnic place where there was a splendid view across the Firth. This space seemed to be greatly favoured by the locals, a small number of whom were out walking their dogs. 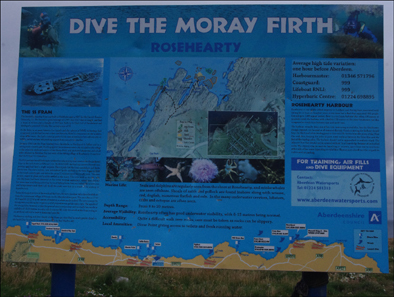 My earlier guess about scuba diving was born out by a sign encouraging people to dive the Moray Firth. Everyone I met seemed exceedingly friendly and most wished me Good Morning.